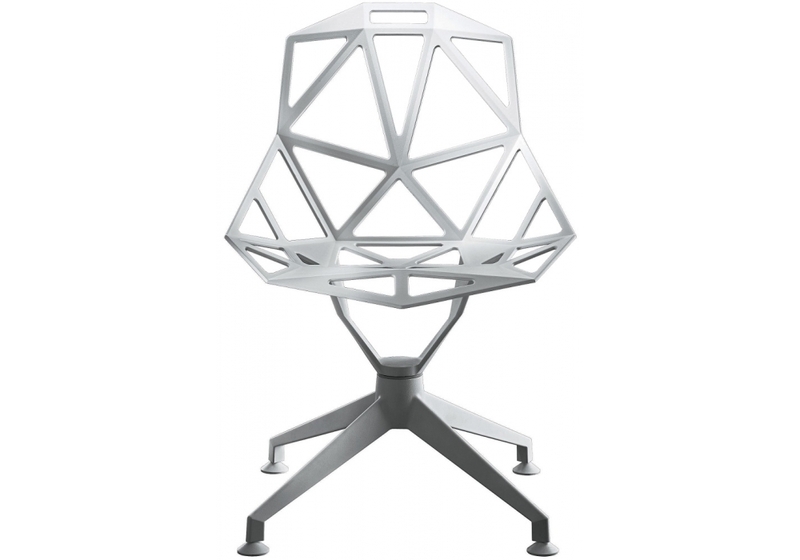 Chair One 4Star is the swivel chair on 4 star base signed by Konstantin Grcic for Magis. Base and seat in polished die-cast aluminium or in die-cast aluminium treated with sputtered fluorinated titanium and painted in polyester powder. Cushions also available. Suitable for outdoor use (painted version). Flame-retardant. Magis, Chair One 4Star : Swivel chair on 4 star base. Year of production: 2008. Non-swivel version also available. Material: base and seat in polished diecast aluminium or in die-cast aluminium treated with sputtered fluorinated titanium and painted in polyester powder. Cushions in fabric or in leather also available. Suitable for outdoor use (painted version). Flameretardant. 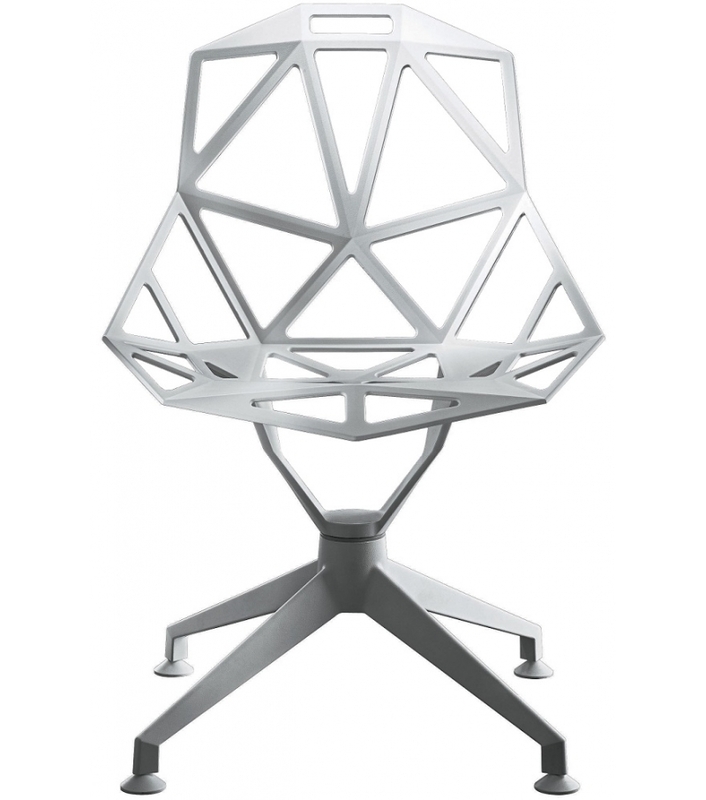 Design by Konstantin Grcic.